i was looking to get more stiffer bushings and came upon these. rear differential bushings. rear position, race stiffness. they sell them in front and rear position that hold the rear diff. naturally youll want to do both sides. not very expensive but is it worth it. anyone done this yet? these look like they are pain to install. i may have to drop the exhaust or something else large to get to the bushings. 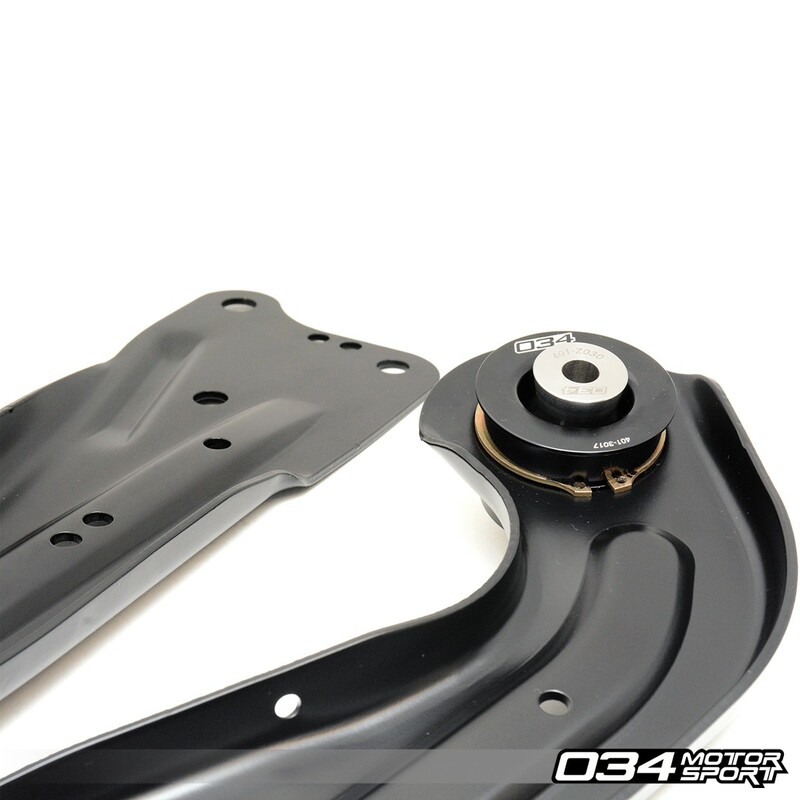 2. rear subframe collar kit from tyrolsport. i just did the front and i havent driven the the car yet because i need an alignment but i would assume that they will do something. the ones i bought for the front are from 034motorsport. they dont have the rears. I haven't seen that many people use this, even the Golf R guys. yeah its kinda a low key type of mod. most audi guys like looks or just speed mods. if anyone is doing this sort of mod they dont seem to record it. The part is cheap but I guess the install is too much of a pain to make it worthwhile. i agree. but i do see it might be worth it when the bushings become old, say about another 5 years i wouldnt mind doing it then. as for the rear subframe locking collar, i dont think that would be too much of an issue to install. at least i think i wont. i recently did the rear spherical bearing trailing arms, front subframe locking collar, and dog bone mount. getting an alignment tomorrow and ill know if these are worth it. Which dog bone mount did you get? Was it much stiffer? getting my alignment today. the car has been sitting for about 5 days cause i didnt want to drive it without an alignment first. 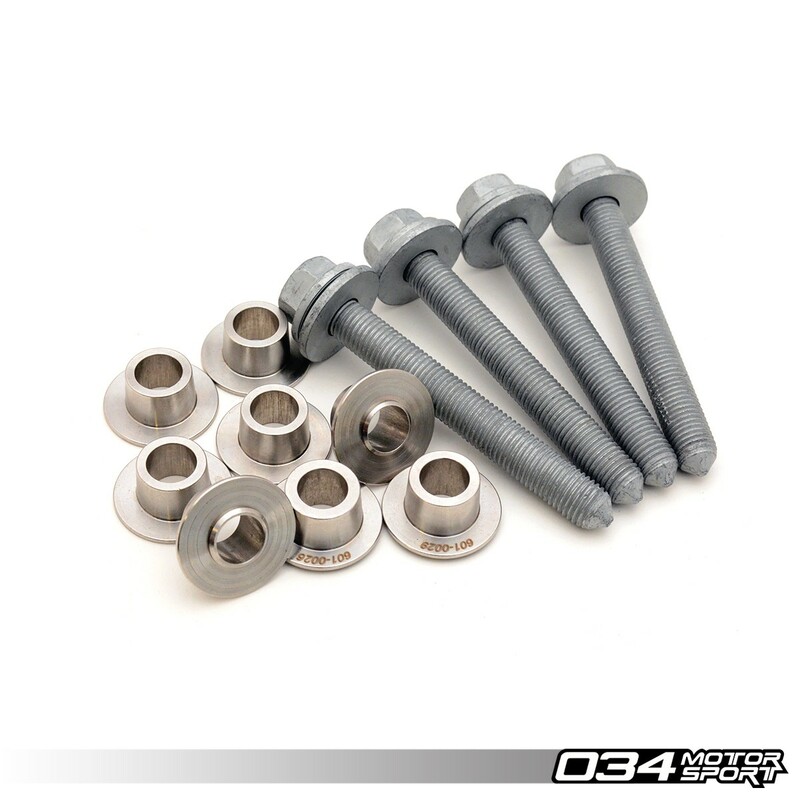 if these are good and i notice that the front subrame did something postive with regards to how the car feels when i drive i will consider doing the rear subframe locking nuts as well as get upgraded rear diff bushings i found on ecstuning. the new bushings would be 95A duro from stock.